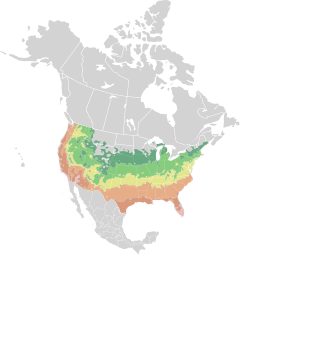 Japanese forest grass is not a North American native, and it is not found in the wild. 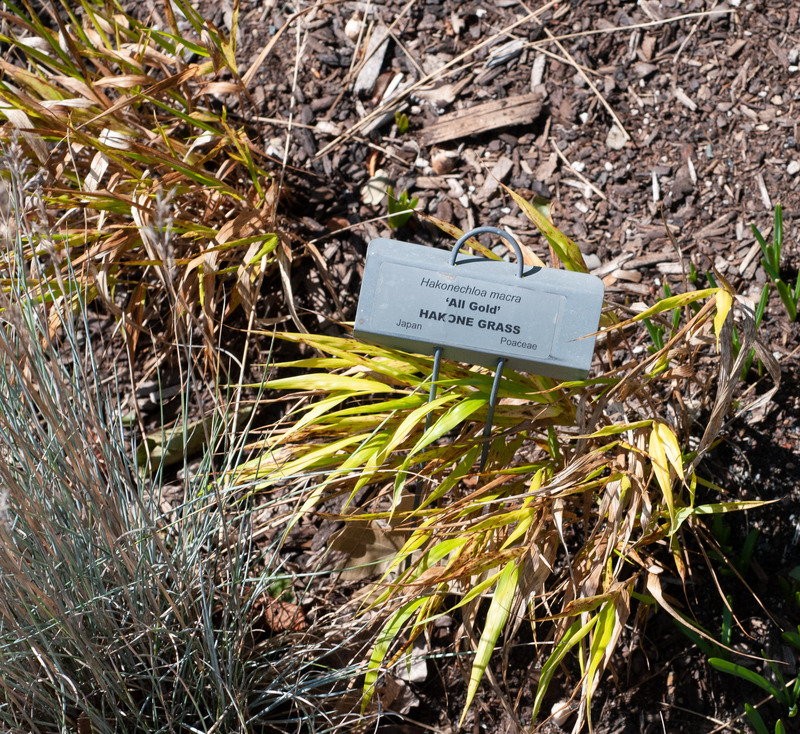 This cultivar is used for landscaping. 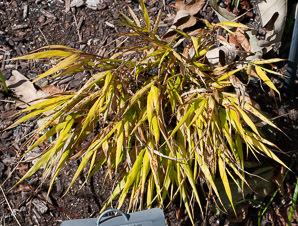 Identification: This bright yellow-green grass reaches about 9-14" (22-35 cm) in height. 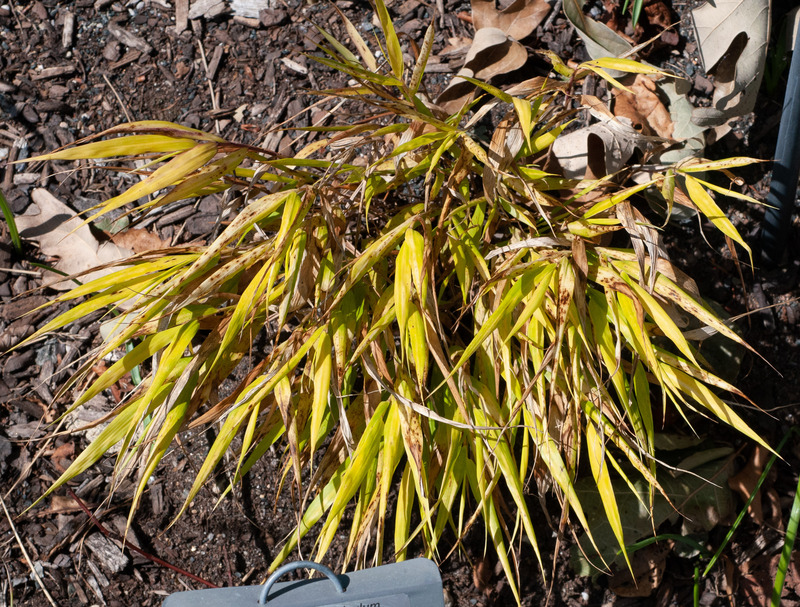 Hakonechloa macra ‘All Gold’ description by Thomas H. Kent, last updated 12 Oct 2018.